Optifine 1.13 is the most downloaded and the most famous mod in Minecraft. It is compatible with any texture pack and resource pack known to man. It dramatically improves the performance of Minecraft and at the same time, it also takes the game to new heights as it increases graphics and adds more heart to the game. Optifine 1.13 reduces lag spikes, graphics distort, and most of all the problems that you had with the vanilla version of Minecraft. 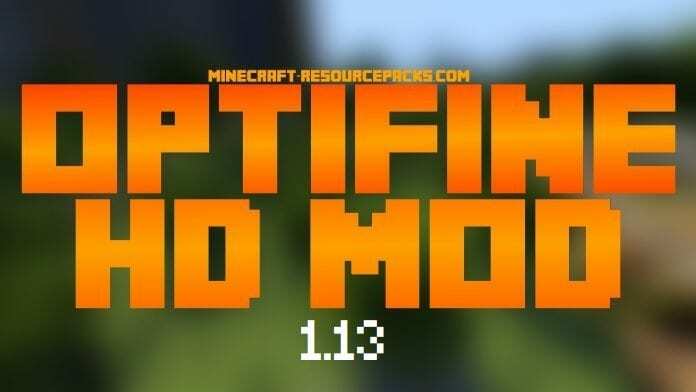 THE OFFICIAL RELEASE OF OPTIFINE 1.13 IS STILL COMING SOON BUT WE WILL KEEP YOU UPDATED RIGHT AWAY WHEN IT BECOMES AVAILABLE. You can find the download link at the bottom of the page. - added shader uniform "fogDensity"
OptiFine Ultra for Minecraft 1.13 is coming soon! 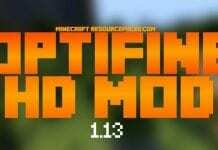 We will upload the download link for Optifine 1.13 once it has been made and created! For now you can enjoy these beta versions while waiting for the official release of the Optifine Ultra 1.13 version.